In March 2012, Toro forms part of the Flamencos en Route company performing in frequent flamenco events in Switzerland and Germany. In July 2013, she establishes herself in Rio de Janeiro, Brazil combining her work in Europe and her musical career in New York. 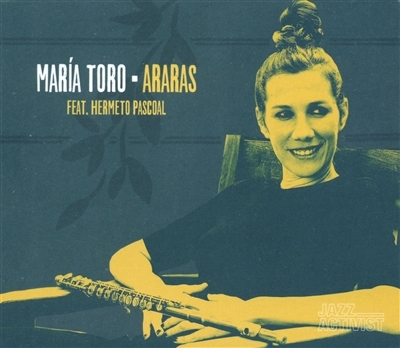 The recording of her second album comes during Toro’s years of musical maturity in Brazil, where more layers are to be added to her musical repertoire. The influence of her foster country is clear from the title of the album, a rare species of bird in extinction which for the musicians symbolizes Rio de Janeiro’s everyday nature. Sounds of nature and sounds of the markets and streets, vendors on the beach, this is the tribute the artist wishes to pay to Rio de Janeiro, as it is showed in Você quer. Recorded in Rio in 2017, the album encompasses sounds from an array of renowned musicians: a flute in G, a string quartet, a trombone, and a cello. Musicians who collaborate are Itibirê Zwarg who composes Chacareando for this album. Above all is the source, Hermeto Pascoal who intreprets three solos, Échate a un lado, Microcentésimas and 55.12 providing this album with an aura of magic that one is able to appreciate in all its splendor.